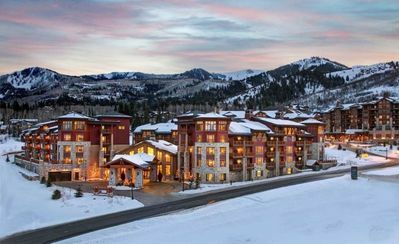 Quiet Top floor Park City Condo with Ski Resort and Sunset Views. 500 sq. 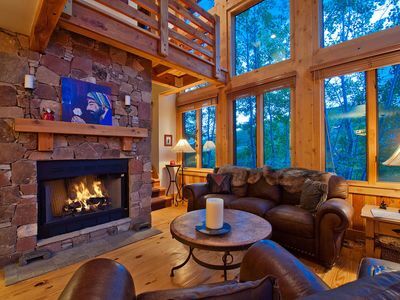 ft. home with one bath including full sized kitchen, wood burning fireplace, jetted bathtub and top floor balcony. One queen bed and twin airbed for sleeping accommodations. 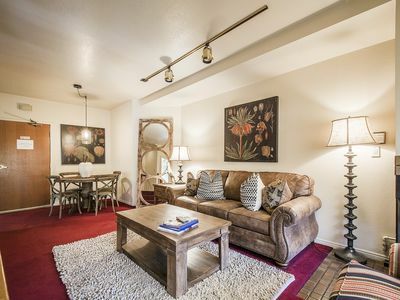 The condo is conveniently located in Park City within easy walking distance of the ski resort, historic Main Street, restaurants, nightlife, grocery stores and entertainment. 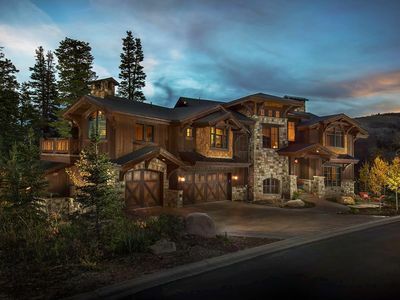 Close to skiing, mountain biking, hiking, fishing, golf, and rock climbing. 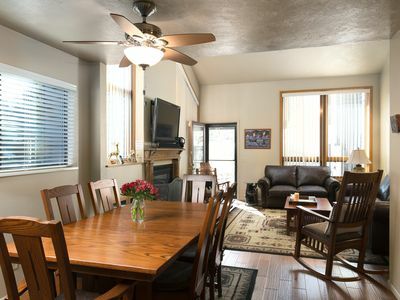 Amenities include full kitchen, jetted bathtub, year around outdoor pool/indoor spa, free WiFi internet, basic cable, bbq grill by pool, laundry machines on site, underground/covered parking garage, and small balcony with ski resort views. 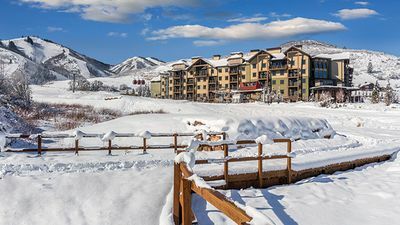 The condo has one of the best locations in Park City because it is top floor (quiet) with rare ski resort views and mountain sunset views. 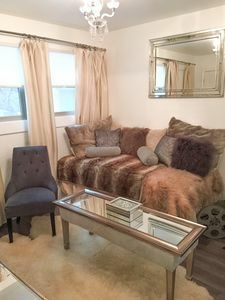 The unit is cleaned professionally by a housekeeping company before each guest checks in. High quality 100% cotton linens/towels/sheets only in the unit. Quests will have full access to the entire condo during their stay. Private pool and spa are available to guests from 10am to 10pm year around. The unit is self check-in and self check-out using a code on the unit door lock. I am available upon request if the need arises, however I respect my guests' privacy. One Queen sized bed in the unit. 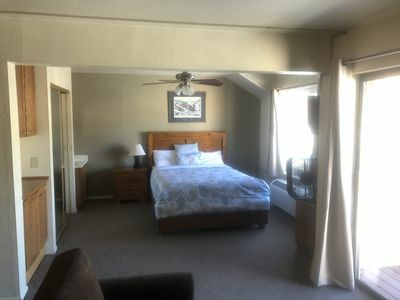 The condo has an open floor plan (no separated bedroom). 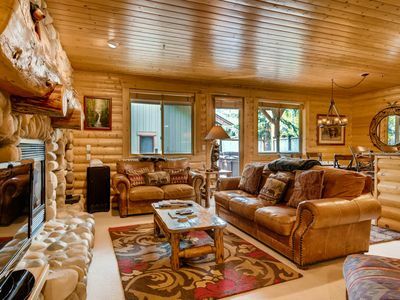 The unit is professionally cleaned before each guest arrival by a local housekeeping company. 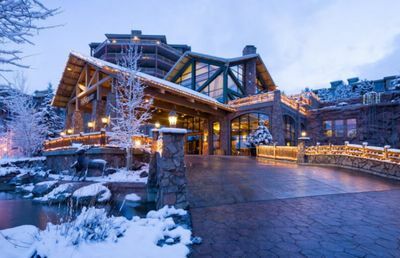 Nestled in some of the most beautiful mountains in the world, Park City has many exciting activities and recreation opportunities. 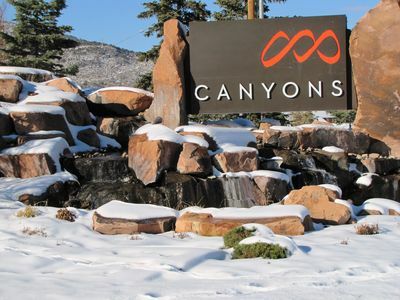 World class skiing, mountain biking, hiking, fly fishing, rock climbing and stand up paddle boarding are all common recreation sports in Park City. 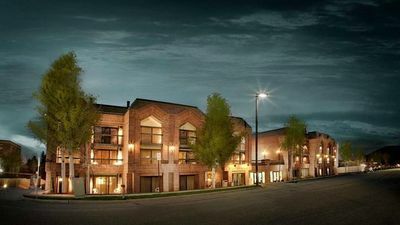 There is also amazing shopping, spa facilities, restaurants, and nightlife within an easy walk from the condo. 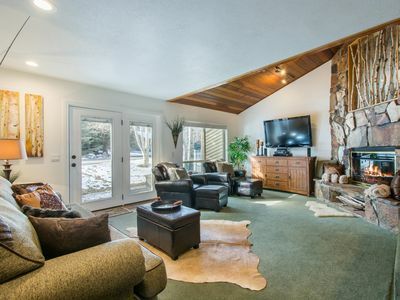 40 minutes from SLC airport and 20 minutes from TacAir(Heber) makes traveling easy and simple. 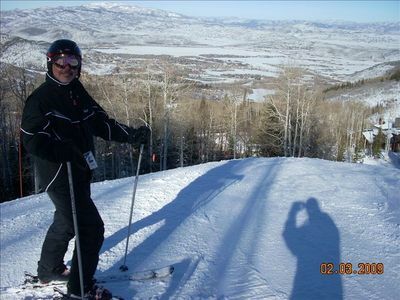 With the correct planning and accommodations, you can be from airport to the ski chairlift in ONE hour. 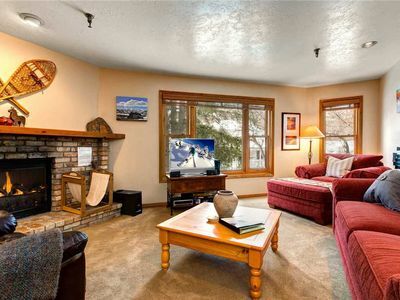 Within easy walking distance of basically anything in Park City old town and Prospector areas (no vehicle required). 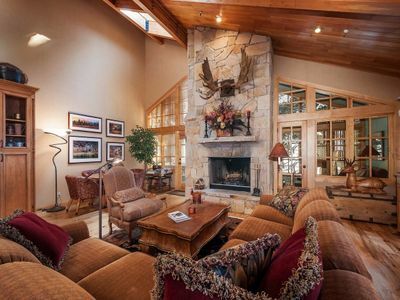 1.1 miles from the base of Park City and 1.4 miles from Historic Main Street. 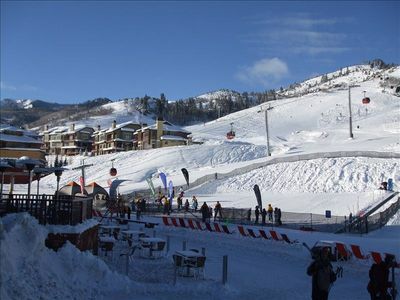 Park city offers one of the best transit bus systems around and is really safe, clean and totally free. There are multiple bus stops within 400 feet of the building, buses arrive as frequently as every 20 mins. Uber and Lyft rides are very popular also with easy access to/from SLC and TacAir(Heber) airports. Guest will have a parking pass good for one vehicle off street parking. Parking for additional vehicles is available and easy to find near the building. 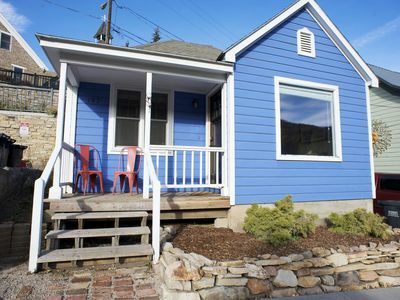 Casa Blu :: Historic Miner's Cottage on MAIN STREET! 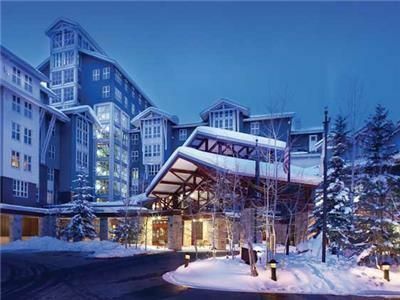 Olympic Quality Ski Resort Right Out The Front Door! Recently Remodeled!! 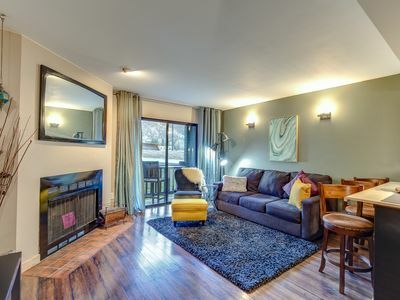 Enjoy access to a guest shuttle from this condo w/ hot tub in Silver Lake. 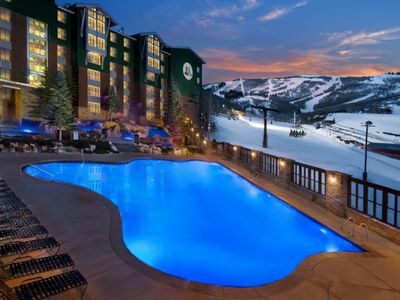 Sundance Jan 14- 21 Amazing Ski-in/ski-out Resort with Valet Ski Service! !